If you're trying to move out on your own for the first time or even the seventh time, it can be difficult to afford it on a single income. Moving in with strangers is the less than ideal solution, moving in with siblings is also a possibility but if you're single, and an only child moving in with a friend may be your best option. 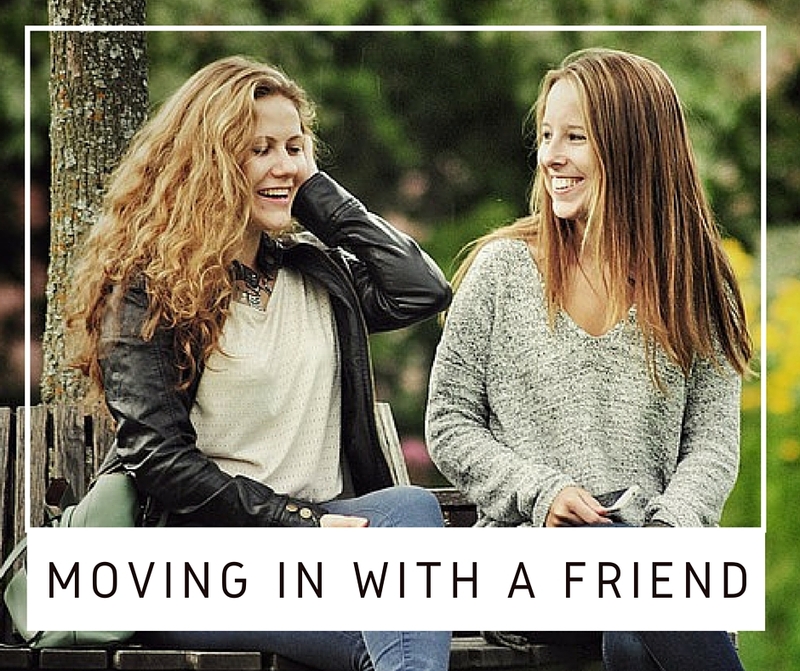 Here are some things you should keep in mind when moving in with a friend. Just because you've been friends for years, you may not know how stable they are financially. Are they a responsible spender or do they blow their paychecks every month with nothing to spare? If you don't know how responsible they are with their finances you should first have a chat with them about it to determine whether or not it's a viable option to move in together. If you know for a fact that you both are financially stable enough to live together then proceed to the next discussion: the monthly bills. You've already made the wise decision to move in with your friend because it would be impossible to afford an apartment or house otherwise, but have you considered the other budgetary concerns? You'll need to decide who will pay for which monthly bills and how (or if) you will split the costs every month. Setting a budget can be helpful for many people to be sure that they are not exceeding their monthly incomes, for example, if you allot a certain amount each month for dining out, you could have a better idea of what you'll have each month with less surprises. Daily, weekly and monthly chores should also be discussed. You love your friends, but you don't have to love their mess and the reverse is true. If you're messy and your best friend is an organizational maven you may be at odds when it comes to chores. Setting those guidelines before moving in together will help your relationship and your apartment stay in good shape. You can try a rotating chore schedule to make it fair and keep the workload even. Not all friendships are butterflies and roses every day. Living with your friend can be wonderful at first, but eventually you may get on each others' nerves and drive each other nuts! When conflicts arise between you and your friend it's important to discuss them as they arise. Keeping annoyed feelings internalized will only make you feel resentment toward your roommate and end up souring the relationship. If your roommate does something that bothers you address it the next time you see them and try to work out a solution. Maybe they're unaware that they've done something to offend you, annoy you or otherwise enrage you... and chances are once they know they'll stop it.